It’s a complicated business, having a baby. There you are, flat out on the hospital bed, squeezing an object the size of a melon out through a hole the size of….yes, well, let’s leave out the specifics, shall we? I’m sure many of you know are familar with the process, and I know I am; I’ve watched it four times, although my wife was doing most of the pushing. 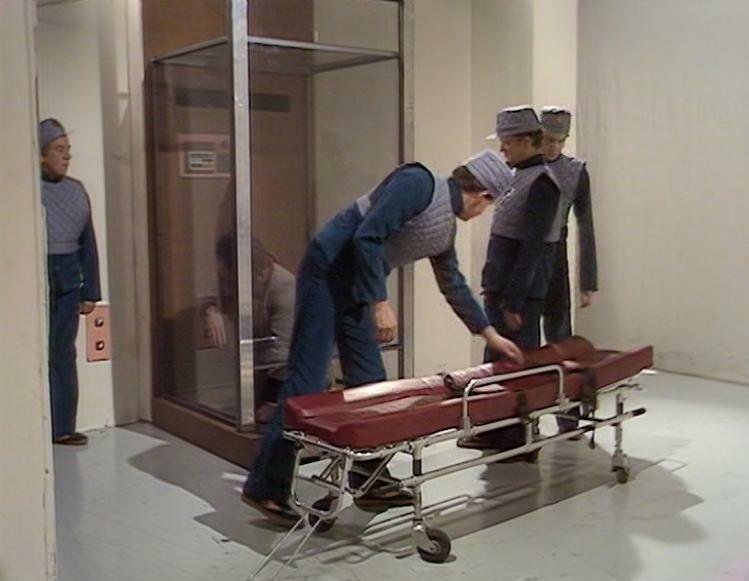 Anyway, if you’re on a hospital bed – as poor Yoss was, in last week’s ‘The Tsuranga Conundrum’, you won’t have much time for pattern spotting. 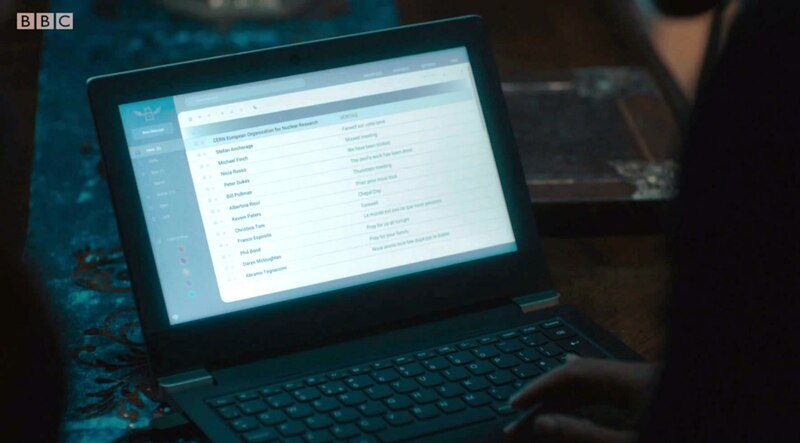 And thus it’s possible that the likes of Yoss allowed the whole of episode 5 to pass without being made aware of a single VERY IMPORTANT DETAIL. Which is a shame, because there were tons of them this week – so many I’ve had to skimp on the text a bit, and allow the pictures to speak for themselves. All those gleaming white corridors are full of secrets; a number of them concern screens. We like screens. Screens only look like gibberish – the sort of thing that’s roughed in the BBC’s graphics department during post-production – and to the uninitiated reader that’s exactly what they are. 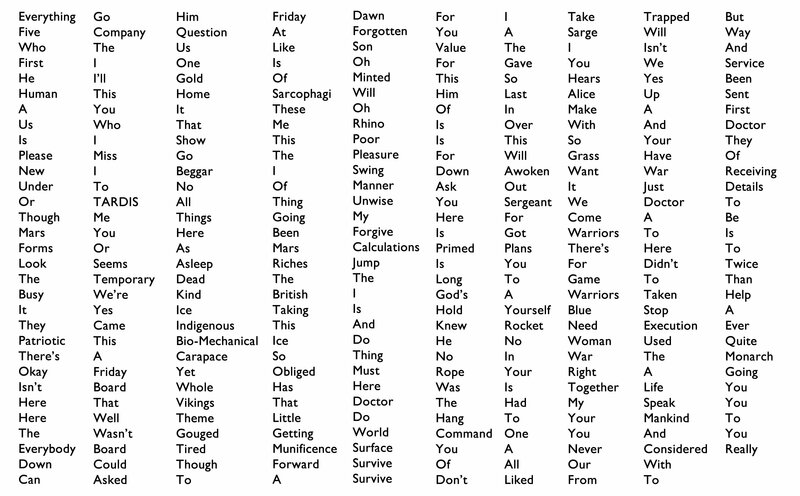 It’s a good thing you and I can read between the lines, isn’t it? In other words, LTA is (gestures) that way. Next we’ll take a look at the conveniently small bomb stored in the anti-matter drive. 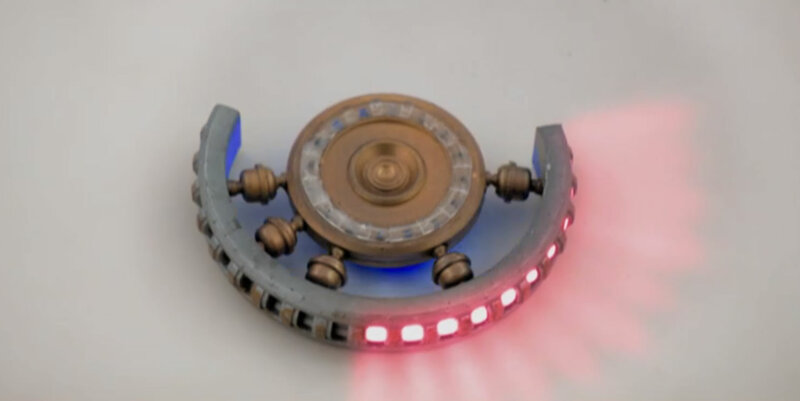 It looks like a simple rejig from the designs department, mildly steampunk in appearance. Doesn’t it? But there was a reason they made it look this way – and once annotated, we uncover a wealth of information. 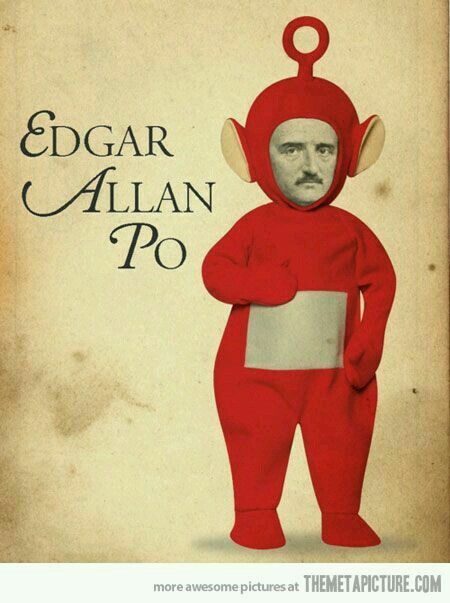 And you thought it was just a prop. Let’s move on to the set itself now. For the most part the scenery was relatively minimalist – a lot of gleaming white corridors and hospital waiting rooms – but there were some intriguing moments in some of the labs. Take this shot, for example, of Eve and Ronan. 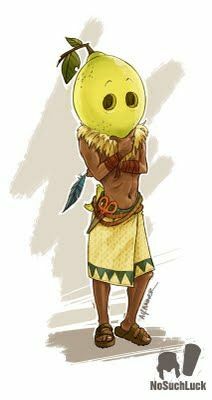 I mean, the Guardians really are due a revival, and they can be anyone they want, as long as they get the outfits right. Can we have Liam Neeson? Screens again. There is a crucial wall panel displayed about a third of the way in, when Durkas (had to look that one up as well) is searching for information on his sister. There are two things we need to be looking at. 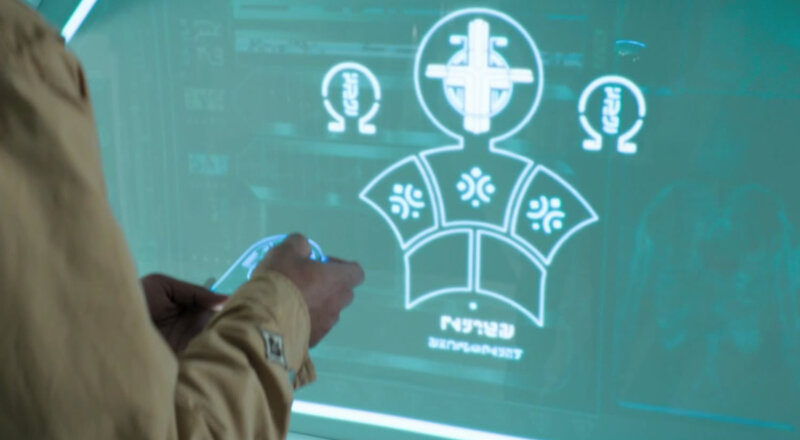 In the first instance, you’ll notice the three circular patterns in the centre of the image, each of which contains four dots, followed by a further dot at the bottom: a reference to twelve of the thirteen canonical Doctors, plus the War Doctor at the bottom. Which twelve, I hear you ask? That would be Hartnell, Troughton, Pertwee, Baker, Davison, Baker, McCoy, McGann, Eccleston, Smith, Capaldi and Whittaker. And no, I didn’t deliberately type out their names to help with search rankings. Honest guv. Those of you who recite these names in your prayers before bedtime will have noticed immediately that one of them is missing. To answer the question of exactly where David Tennant is, it is necessary first to look at the top of the image, and then superimpose something on top of it. Last but not least, another screen. Finally, if you take the fifth line of dialogue from each script, and arrange them in (just about) chronological order, this is what happens. That’s all we have time for this week. Join me next time, when we’ll be looking at cranberries, and why they’re purple. Santé! When I first watched ‘The Ghost Monument’, my heart sank a little. 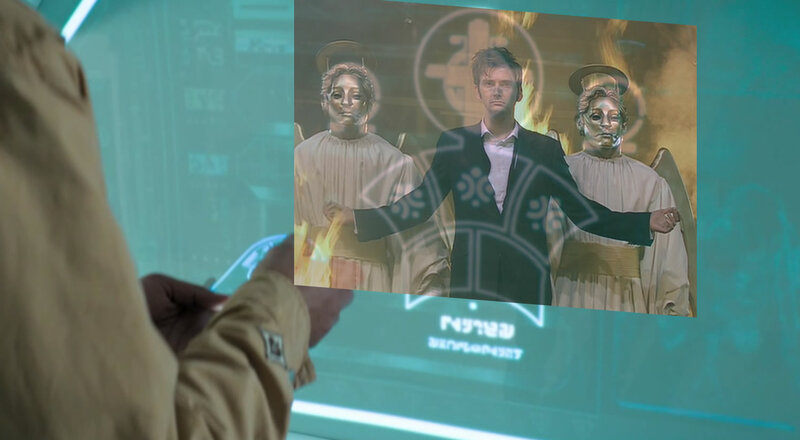 For all my heartfelt belief that Chibnall had inherited the mantle of Chief Puzzler and Imp that Steven Moffat cast from his bosom ere he ran forth from the Doctor Who production offices clicking his heels and shouting “I’M FREE!” while dancing a merry jig, it seemed that the second episode was as dry as the desert in which it was filmed, barren and stagnant and utterly bereft of clues. There were no monitor readouts. No intricately decorated chambers. Not even a bus to look at. Just a lot of ruins. 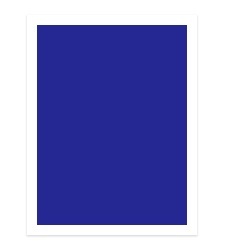 I was lost and helpless and out of inspiration. There were tears, I tell you. Actual tears. But that second viewing was like a light bulb going on. Because when you dig beneath the surface (shortly before lying down on your back and throwing a cigar in the air) there is a whole bunch of VERY IMPORTANT SIGNS AND WONDERS in this story, pertaining to this year’s series arc and beyond. And today we bring you just a few of the very important CLUES AND HINTS that we noticed. Just a few, mind; I’m on holiday tomorrow and I need to pack. And while I’m doing that, constant reader, perhaps you would be good enough to examine this. They keep telling us to count the shadows: today I’m telling you to count the spotlights. There are ten in total, of varying sizes, alluding to Doctors One through Nine, including the war Doctor. The angle from which this was shot – in which identical-sized lights suddenly take on unique and distorted sizes – is itself highly important as it enables us to ascribe values to each spot. Because (and this is the crucial point) THESE DO NOT APPEAR IN ORDER. 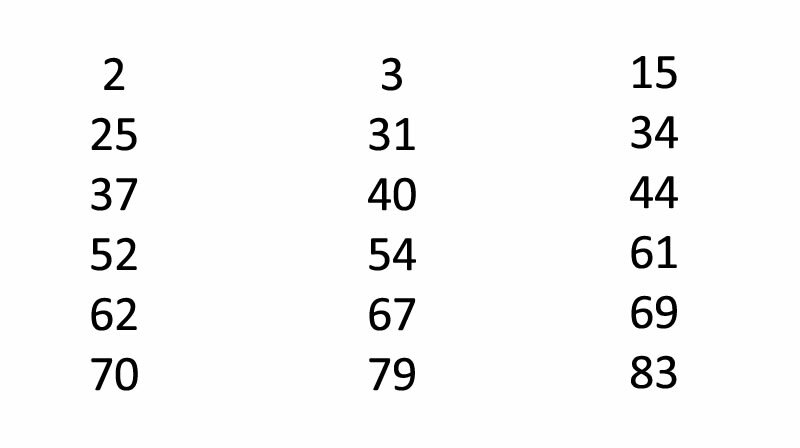 Taking into account the relative number of episodes that each Doctor has appeared in, we may number the spots like this. Starting with 1 and working our way clockwise, we get the number 12759346885, and Googling this leads us to a French phone number lookup site. It runs off the acronym CACS, and is part of the OVH cloud computing network. But a curious thing happens when we rearrange these letters: we get ‘Cosh Vac’, which is an UNMISTAKABLE WARNING that in a subsequent episode Bradley Walsh will be whacked on the head and then thrown out into the vacuum of space (again), and that the cryptic sight of the Doctor blowing a kiss to her companions is the moment she’s going out to rescue him. 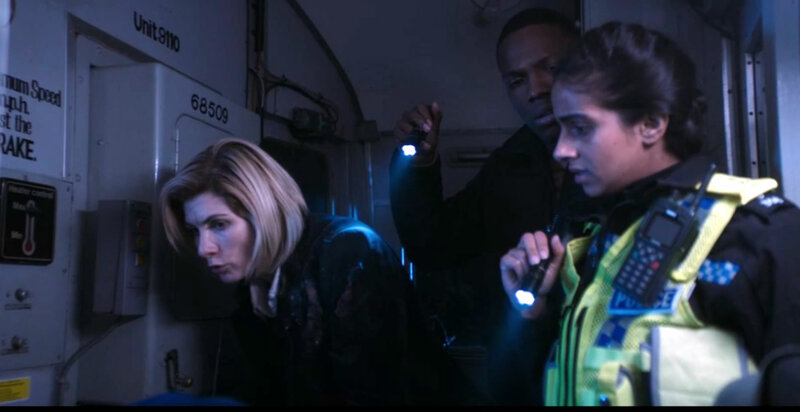 Also note that Whittaker is angling her head into the sweet spot between one and two, which refers to the much-desired and sadly missing final episode of ‘The Tenth Planet’, in which viewers saw William Hartnell regenerate onscreen into a scruffy cosmic hobo. But is it still missing, or is this a clue that they’ve found it? Could it be that Philip Morris’s rummaging through Nairobi skips and Saudi military compounds has finally borne fruit? Are they saving this for a Christmas download? Only time will tell, but I’d start digging out your piggy bank now, if I were you. Next let’s look at this rather splendid piece of South African architecture. The general prettiness of the whole thing. I mean it is rather grand, isn’t it? Beats a quarry in Suffolk, that’s for sure. Still, don’t let the aesthetics distract you – we’re not finished yet. You see the lines of square holes just above the sand? Examine the top layer. For this it’s necessary to resort to binary, taking the presence of a hole as a 1 and the absence of a hole as a 0. It’s when we examine this week’s guest cast that things get really interesting. First let’s look at Shaun Dooley, who played opposite John Simm and Olivia Coleman in Exile and David Tennant and Olivia Coleman in Broadchurch. And yes, there’s an old joke about the BBC having only a dozen actors and endlessly reusing them – but c’mon, folks. 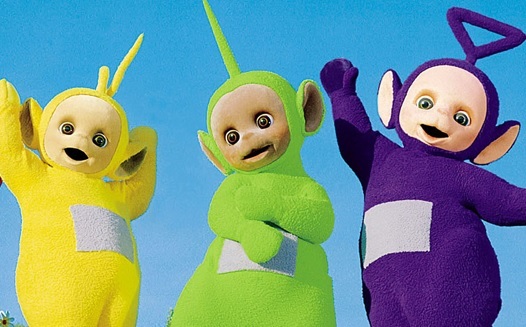 These actors? Can that really be a coincidence? 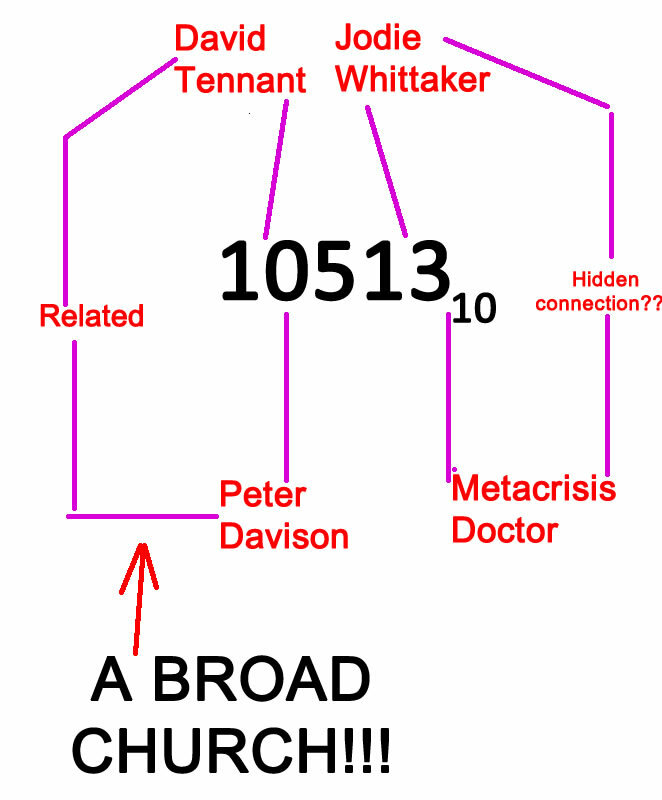 I’m calling it here: The Thirteenth Doctor will meet with an alliance of Prisoner Zero and the Master in 2019, and will find herself aided and abetted by the Tenth Doctor. As if all this weren’t enough to whet your appetite, Dooley was also seen in The Woman In Black, THE COLOUR OF CHOICE FOR JODIE WHITTAKER’S THIRTEENTH DOCTOR REVEAL VIDEO. This is all building to something. Just watch. Then there’s Art Malik, who appears in hologramatic form, sitting in a tent. But we have to rummage through his CV to get to the meat. First there’s his role in A Passage To India, A COUNTRY THAT WILL BE VISITED LATER IN THE SERIES. 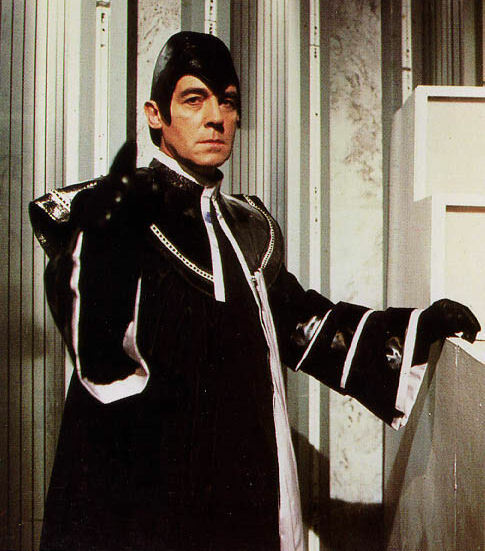 Then there’s his role in The Living Daylights, playing opposite Timothy Dalton – yes, him wot played Rassilon. Some years later, after fourteen months of unemployment and some nasty letters from the Inland Revenue, Malik resurfaced in what is probably his most popular role, playing a terrorist opposite Arnold Schwarzenegger in 1994 blockbuster True Lies. What do we make of this? 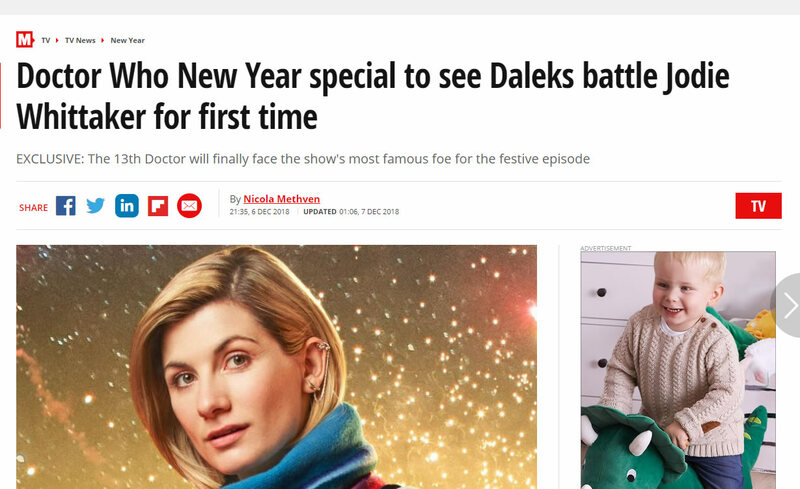 The title itself is a blatant clue as to the existence of the series arc, given Chibnall’s insistence that he was speaking the truth about a non-existent series arc that now seems to be about to rear its toothy head. And, of course there were [coughs] one or two other things he may have been lying about, all the while feigning his innocence like a naughty schoolboy caught with his hand in the cookie jar. Need we point out the homophonic parallels between Malik and Dalek? We need not. However: we may also rearrange the letters of Salim Abu Aziz (Malik’s True Lies character) into ‘Lamia is abuzz’, which CLEARLY AND UNAMBIGUOUSLY pertains to the Greek story of Lamia, a Libyan queen who was mutated into a child-murdering monster by her own grief. I will just remind you all that in the last episode we were warned about a timeless child. And I leave it to you, dear reader, to join the dots. Susan Lynch was in Ready Player One, which features a TARDIS. Um. 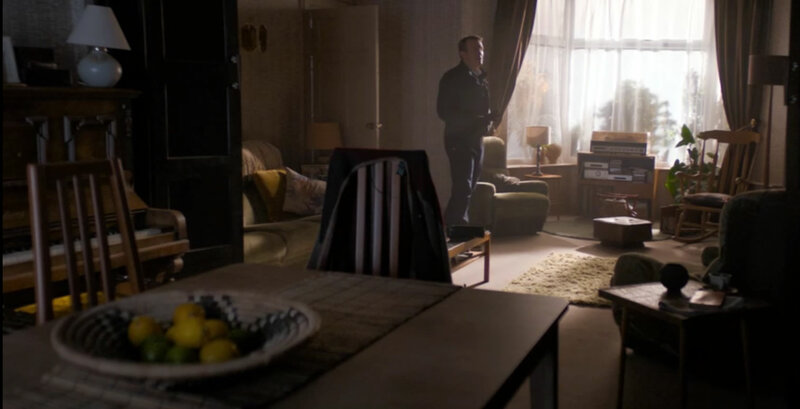 Oh, and just before I sign off, has anyone noticed the cushions? The cushions that happen to be THE SAME COLOUR AS JODIE WHITTAKER’S TROUSERS? 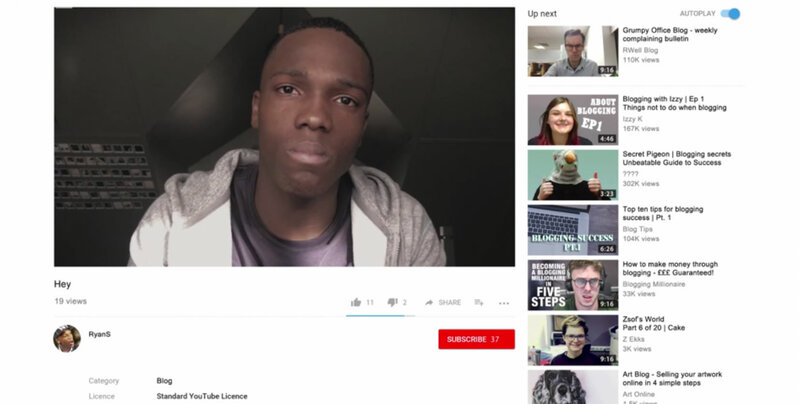 Who else saw that one coming? Hail, brethren! The Monks may be gone, but do not weep, even though you have full cause of weeping. We shall discard the ephemeral and the propaganda and dig through the contents of ‘The Lie of the Land’ until we find THE TRUTH THAT IS HIDDEN. Because, as you all know by now, each episode of Doctor Who is replete with VERY IMPORTANT THINGS THAT WILL COME BACK LATER ON IN THE SERIES. First, let’s look at a map. You will note the cross, showing us the location of the Monks’ lair. In real world terms this translates to the Guildhall, marked below. 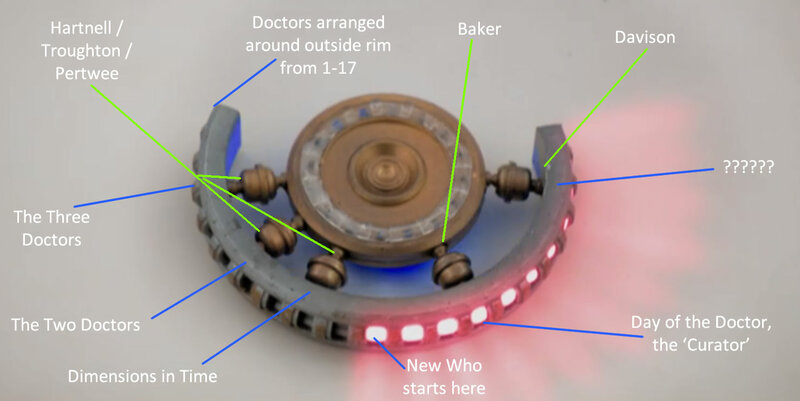 The connections here link back to none other than the Eleventh Doctor – by way of C.S. Lewis. First, note that the Guildhall is bordered by Gresham Street – referring to C.S. Lewis’ wife, Joy Gresham. Things become even more complicated when we consider the namesake Guildhall & Barrow Surgery in Bury St. Edmunds – referring both to Edmund Pevensie, core character in Lewis’ Narnia books, and also chapter eight of Fellowship of the Ring, ‘Fog on the Barrow Downs’ – written by J.R.R. Tolkien, friend of Lewis. 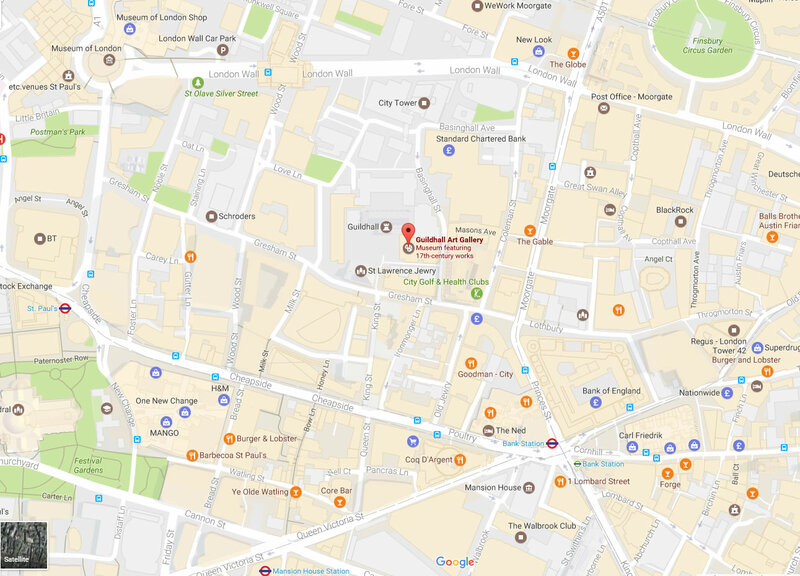 Also note brief references to the Fourth and Tenth Doctors (Little Britain, top left, just above Postman’s Park; also Noble Street, a couple of blocks to the right). But the largest green space is occupied by the Festival Gardens…just below Paternoster Row. We’ll just let that sink in for a moment. This is all linked with Matt Smith, then. But why? Well, you’ll find out later. But in the meantime, here’s the interior of the Doctor’s office, on board the prison hulk. First, examine the shelves: two racks, with four separate compartments on each. 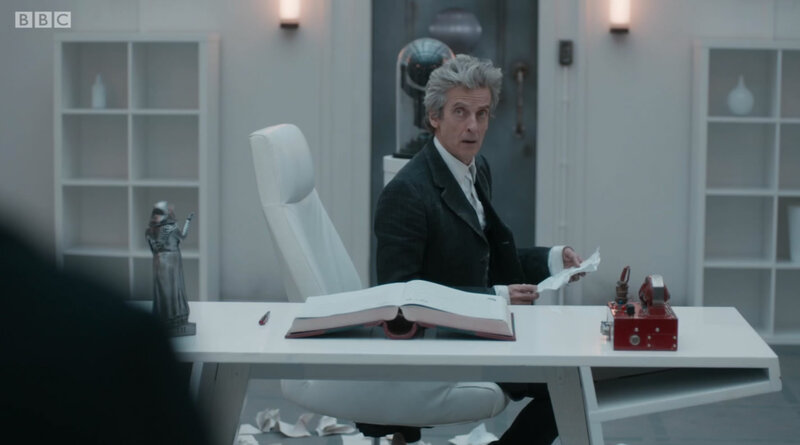 The decorative bottles are thus situated on compartments 1 and 9, thus referring to both Hartnell and Eccleston. 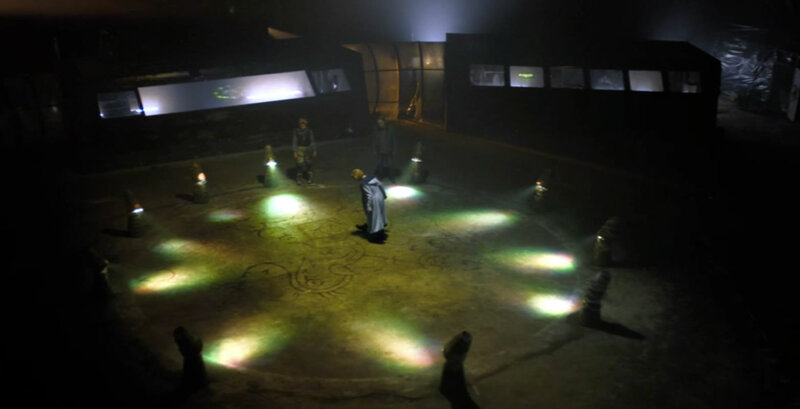 Note also the appearance of said bottles: the first is cylindrical, a CLEAR AND DIRECT reference to the shape of the undisguised Type 40 TARDIS that Hartnell’s incarnation is seen pilfering in ‘The Name of the Doctor’, and the bubble-shaped appearance of the Ninth Doctor’s bottle, referring to the time-locked, self-contained war that he can no longer access. Just out of shot: a bottle in slot 14. 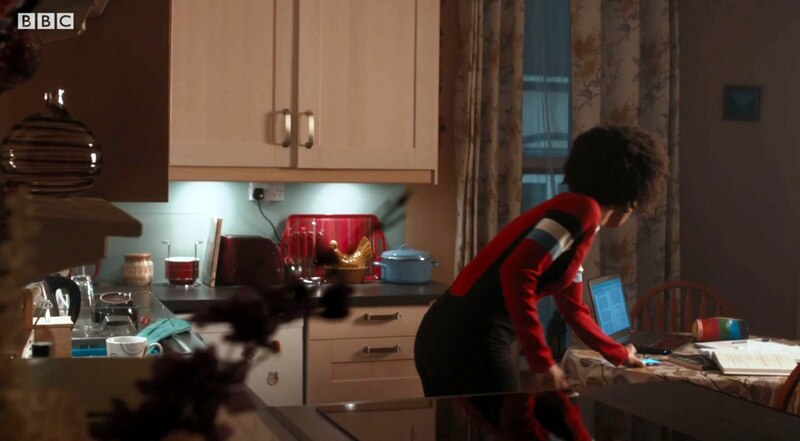 Ooh, Moffat, you TEASE. 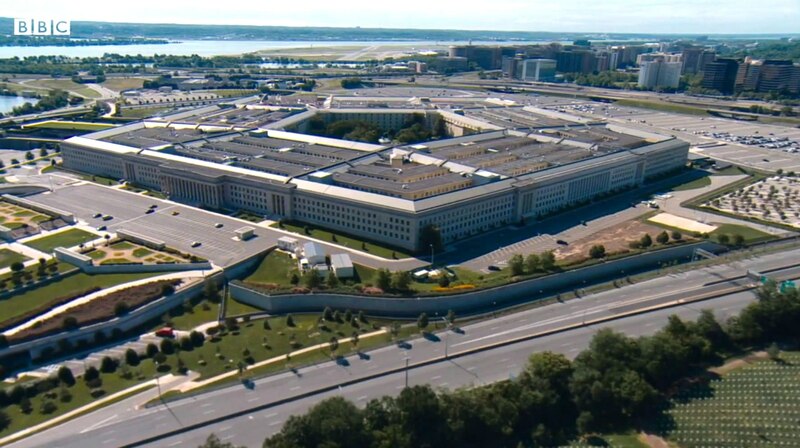 Note also the statue of the Monk, pointing directly at the black box on the wall by the doorway: itself positioned horizontally above (and apart from) the bottles, and therefore connected with them without being directly aligned. 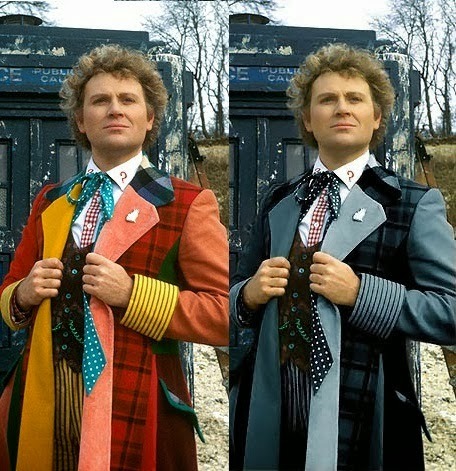 It’s almost as if we’re looking for an alternate Doctor, who favours black. Finally: Black and White guardians – long overdue for a return, and THIS IMAGE CONFIRMS IT’S HAPPENING! The switch is black, the bottles are white: that’s your first clue. But there’s more to it than that. Consider the contents of the Doctor’s desk: the book, the pen and the telephone. A brief Google finds instructions on a craft website titled Chicaandjo for an upcycling activity that enables you to recycle a phone book into a pen organizer. I’ll say that again: recycle a PHONE BOOK into a PEN organizer. So what? I hear you ask. Well, note the date on this entry: 24 February 2009. Ostensibly an unimportant day in the Whovian calendar, except that it happens to be the thirtieth anniversary of the Black Guardian’s first appearance, at the end of ‘The Armageddon Factor’ – part six of which was broadcast on 24 February 1979. Get ready, folks. An epic cosmic clash is coming. Let’s move on and look at that radar. This is, as you’d probably gathered, about the First Doctor. The position of the blip on the radar – at one o’clock – is testament enough, as is the fact that north is angled in the same direction on the compass. But that compass deserves special attention, chiefly because of the numbers that surround it – increments of 30, rising from 0 to 360. Now: watch what happens when we notate the FIRST line of dialogue from each episode. Which should tell you all you need to know, shouldn’t it? Incidentally we did a little non-destructive testing on the numbers referenced in the Savages episode, but there is no significance in them. Even I have my limits. 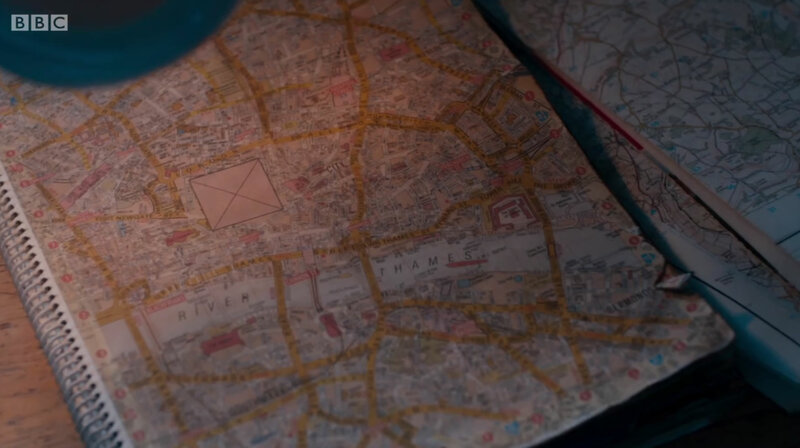 Finally, here’s Nardole’s hand, resting on that map. First and foremost, we need to examine the hulk’s equidistance between Orkney and Shetland, and the fact that Northlink Ferries runs a service between them operating out of Aberdeen, WHICH IS WHERE THE FOURTH DOCTOR DROPPED SARAH JANE AT THE END OF THE HAND OF FEAR. 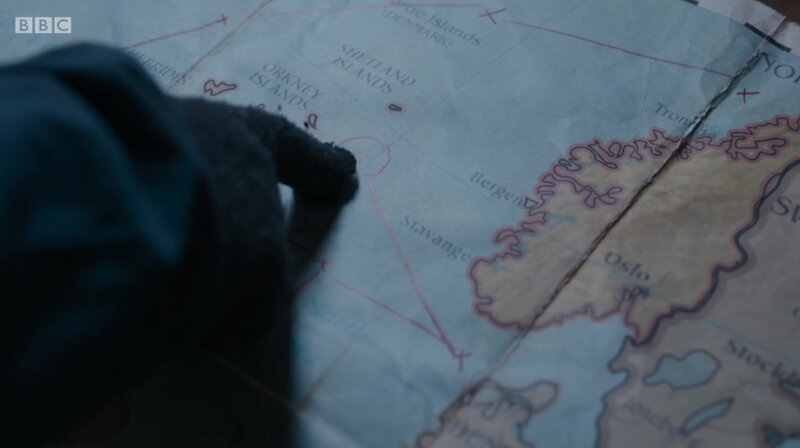 However, things get even more interesting when we examine two of the other marked places on Nardole’s map, notably Bergen and Stavanger: two cities approximately 124 miles apart. 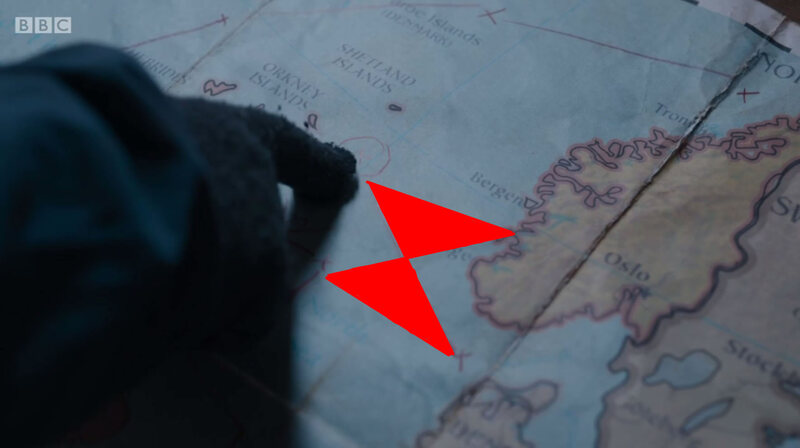 This relates – as you’ve probably twigged – to the end of ‘Doomsday’, specifically the scene in which Rose explains that Dårlig Ulv-Stranden – or Bad Wolf Bay, as we call it – is located “about fifty miles out of Bergen”, ROUGHLY EQUIDISTANT BETWEEN THESE TWO POINTS. In other words (and you may find it helpful to look at the image again) if you head due east from here, you’ll bump into it. Can I also point out that we heard this courtesy of Rose, and that I’VE ALREADY TALKED ABOUT BILLIE PIPER? 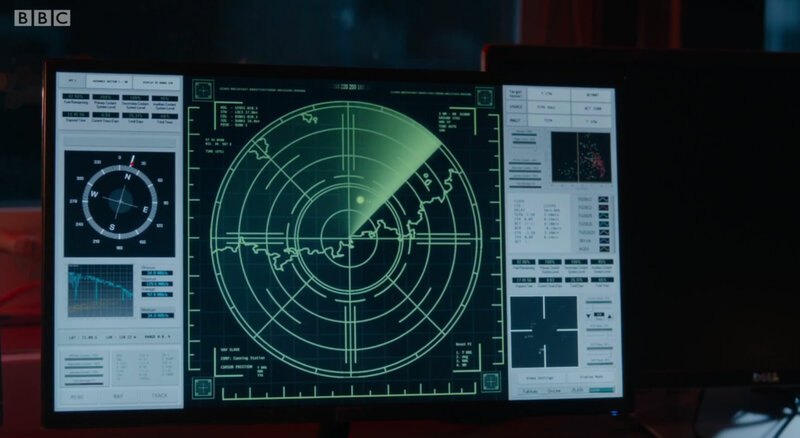 Now watch what happens when we add a line from the approximate position of Bad Wolf Bay to Aberdeen, connecting it to the ones that Nardole has already drawn. And tell me if a particular item of neckwear doesn’t instantly jump out at you. We knew they were cool. We just didn’t know they were so important. It’s half term, folks, and by the time you read this I’ll probably be on a beach in Swanage. It may be a perfectly pleasant experience, but more than likely I will be running away from an enormous bubble and insisting that I am not a number, I am a free man. Who can say? This is the price you pay for knowing too much. I pay it willingly, but sometimes things are hard. Oh, so hard. But I’ve managed to prep a a slightly shortened version of this week’s conspiracy roundup and leave it here for you because THESE THINGS ARE IMPORTANT. 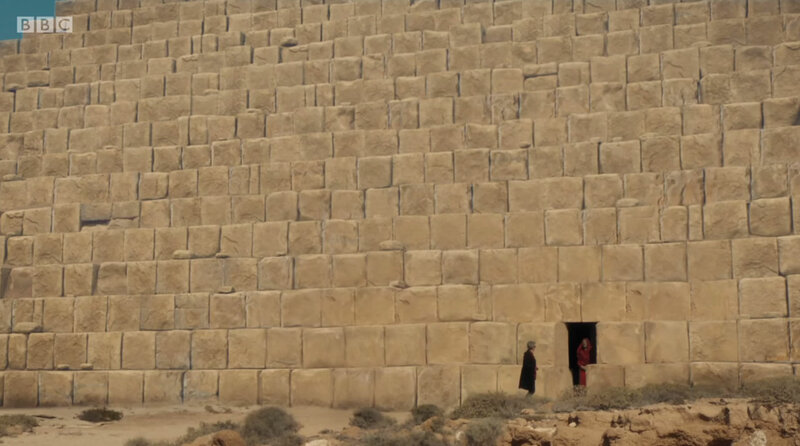 So here are the clues and signs we managed to spot in ‘The Pyramid at the End of the World’, and some explanation as to what they might mean. I do not promise an easy ride. But then it was never about that, was it? Here’s the Doctor outside the pyramid. There are 16 visible or partially visible rows of bricks in this image. THIS IS NOT AN ACCIDENT. Firstly, 16 is 4 squared – 4 x 4, in other words – and the notion of two fours is something to which we shall return later in this missive. But it’s the Monk’s entry point into the scene that’s really fascinating: the missing bricks it currently occupied are located, if we utilise the coordinates of a typical X / Y axis, at 1:15 and 2:16, referring respectively to ‘The Space Museum’ and ‘The Dominators’. So what? I hear you ask. 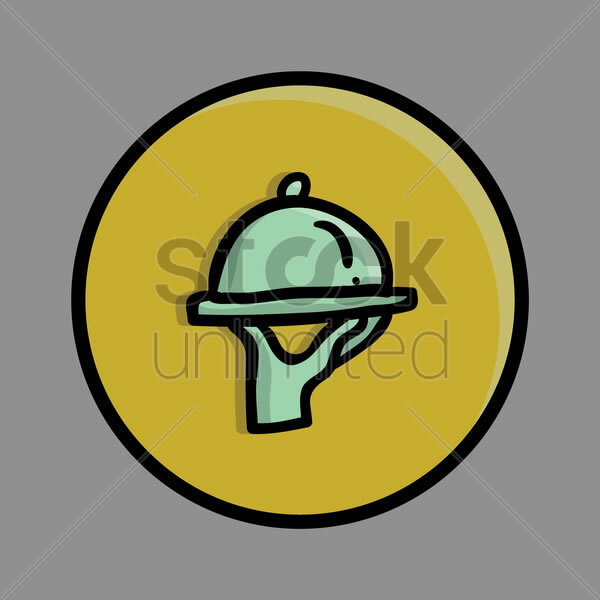 Well, consider the alien species the Doctor encounters – the Dominators and the Moroks – and then reflect upon the fact that ‘Dominators and Moroks’ may be rearranged to form ‘INDOORS TO MONKS DRAMA’, and also ‘MONKS AIRMAN ODD TORSO’ – both of which describe key points in the episode – and also ‘MONKS ORDAIN DOORMATS’, which seems to be an apt description of what we know of next week. But we should also take a moment to reflect upon the pyramid itself. 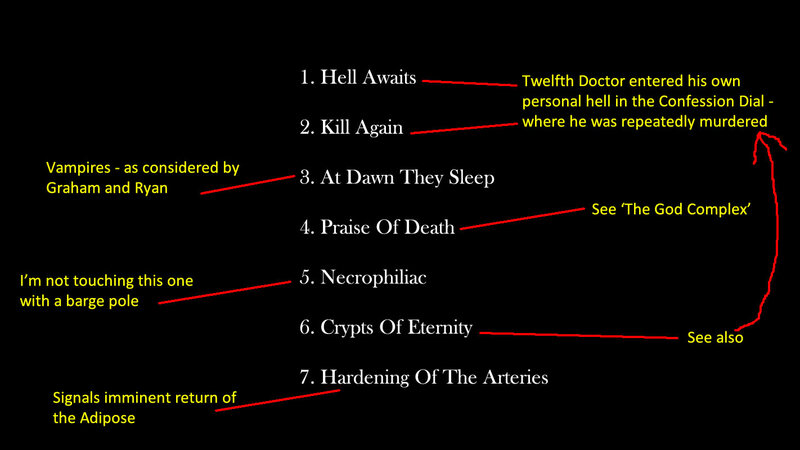 Consider the episode title – itself one of comparatively few Doctor Who episode titles that also contain other titles. Removing ‘The End Of The World’, we’re thus left with ‘The Pyramid At’. So what? I hear you asking. Subtract 54 from 91 and you get 37. So what? I hear you asking again, while you scrape against the ropes holding you to that chair and see if you can fray them a little (don’t trouble yourself, they’re elvish and they’d restrain an Oliphaunt). Can I just refer you here? You know, Subway 37? As featured in this Fourth Doctor story? Which, by the way, ALSO STARRED LEELA, WHO GOT A MENTION LAST WEEK? Phone displays figured quite prominently in this week’s episode, but there’s one in particular that warrants a closer look. To do this, we have to go back through the earlier episodes. Those of you who have endured this column for years will remember that Moffat employed a similar stunt in series 9. 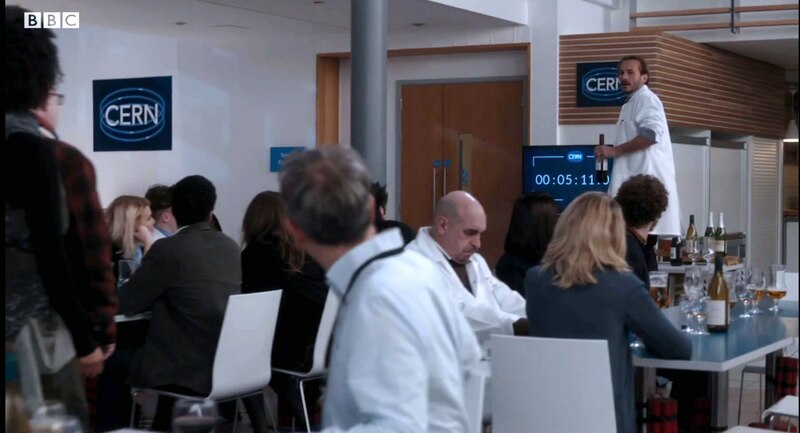 The trick here is to examine the lines of dialogue that occur at THIS PRECISE MOMENT in each episode of the series up to this point, including (for reasons which will become apparent) ‘The Return of Doctor Mysterio’. Because when you do that, something amazing happens. 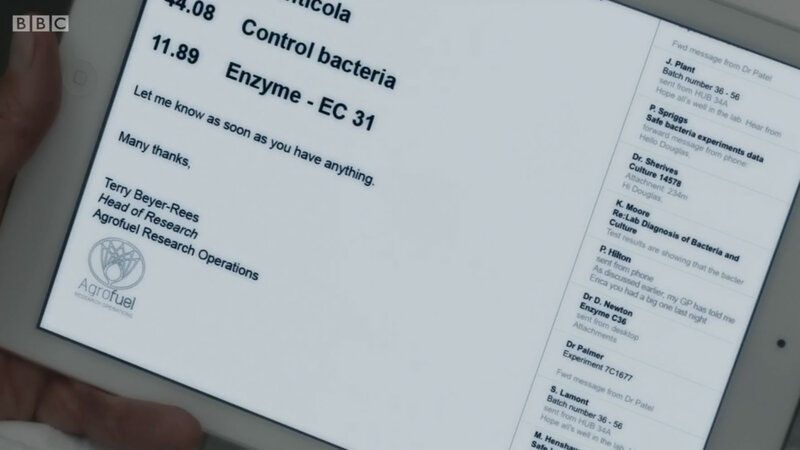 Next we’ll take a look at Douglas’s computer screen, moments before it blurs. We may break this down like this. Finally, let’s look at the numbers on that combination dial. There are two things going on here. 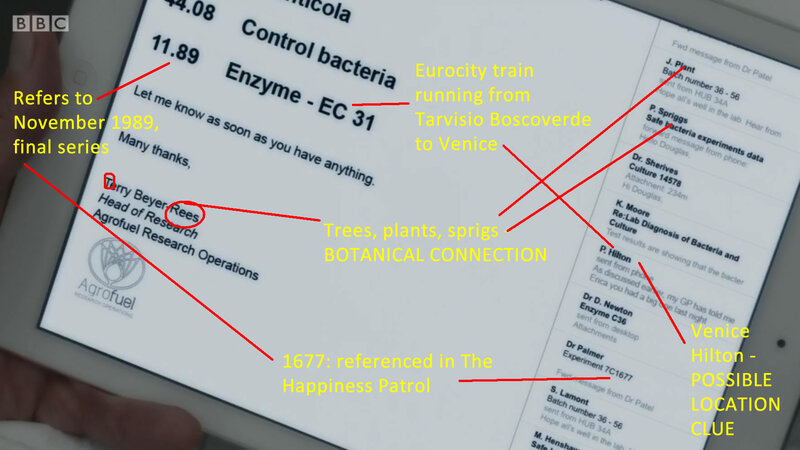 In the first instance, the choice of 3614 as the designated escape code is deliberate, given that it is a reference to Cher’s 1969 commercial failure 3614 Jackson Highway. 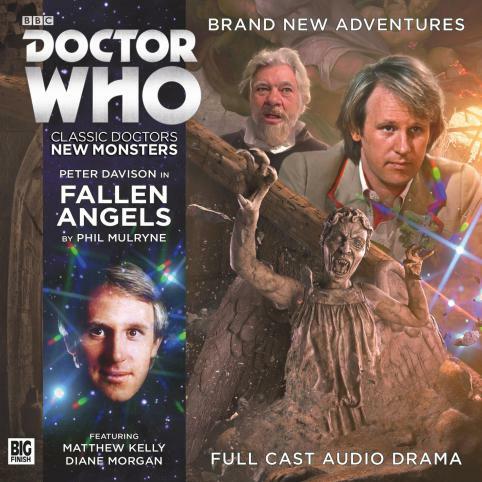 Given that it was released in the year to which the Doctor and Martha were banished by the Weeping Angels there are at least a couple of references to ‘Blink’, notably in track 4, a cover of Bob Dylan’s ‘Tonight I’ll Be Staying Here With You’, as well as track 12 on the 2001 bonus edition, ‘Easy To Be Hard’. You know, as in “You can’t kill a stone”. What did you think I meant? 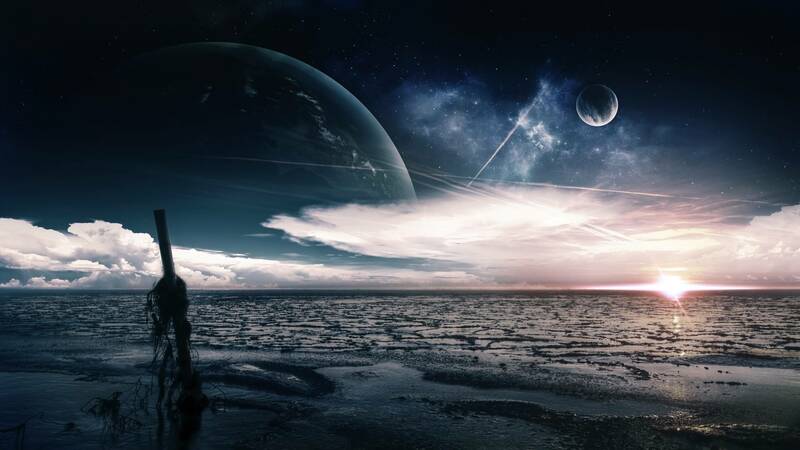 However, we also need to look at the number above it: 4725, referring specifically to galaxy 4725, known as Comae Berenices, which can be rearranged to form ‘See Beacon Crime’, a CLEAR AND DIRECT reference to ‘The Ark In Space’. 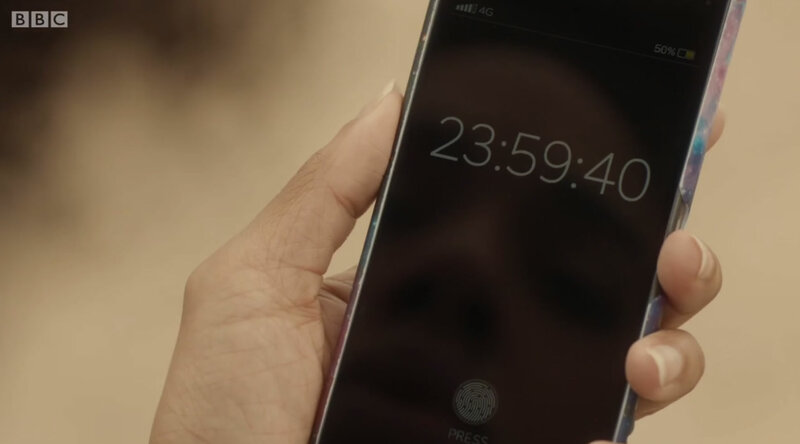 Note also the presence of two separate ‘4’s, which refers to the closing episode of ‘The Android Invasion’. Which you basically watched last week, only it was called ‘Extremis’ and it had the Pope in it. In other words, THE CURATOR IS SET TO MAKE A RETURN IN SERIES 11. 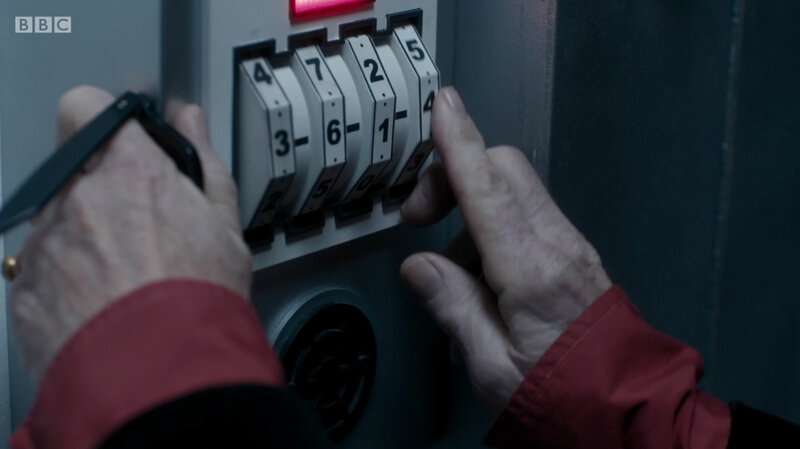 Finally, note that the third tumbler is in a state of transition – shifting between the 1 and the 2, and thus making a subtle reference to ‘The Tenth Planet’, the story that is set to be referenced in this year’s Cybermen-infested finale. And how many dots can you now see on those two digit markers? Sorry, how many was that? FOUR, did you say? Anyway: my Yanni CDs are beckoning. I need to be somewhere quiet after all this excitement. Be seeing you.